We all love to be out on the river catching fish. 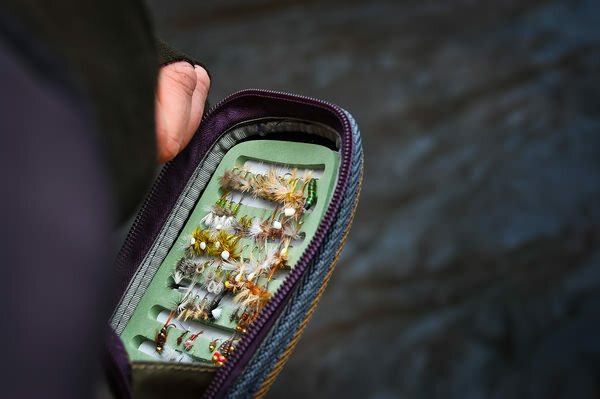 That’s a part of the lure of fly fishing is being out wading through our favorite streams in search of the illusive trout (or other species). One of the key ingredients here is being able to access the areas of a river or stream to effectively cover the water and just plain get to the locations where these fish are. How do you do that? Wading. That doesn’t come without the need for a little knowledge in wading basics and tips on how to be safe on the water. 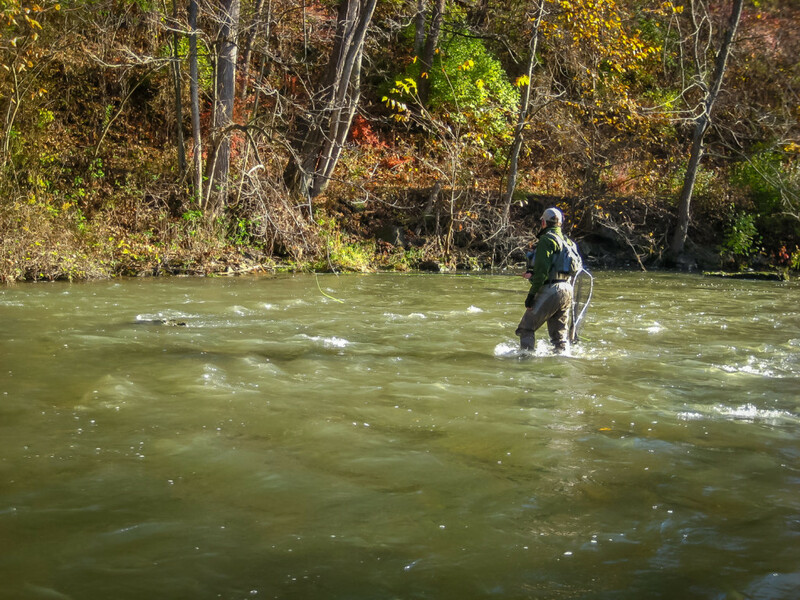 Let me share a few wading basics and tips to help you get out and get back home. Use a wading staff. You may not feel the need to use one, but if you want a little extra comfort and stability when wading through those rapids, grab yourself a wading staff. You’ll be safer, can judge water depth better, and access places with less of a chance of swimming by using a wading staff. They work, especially when wading murky or stained waters. 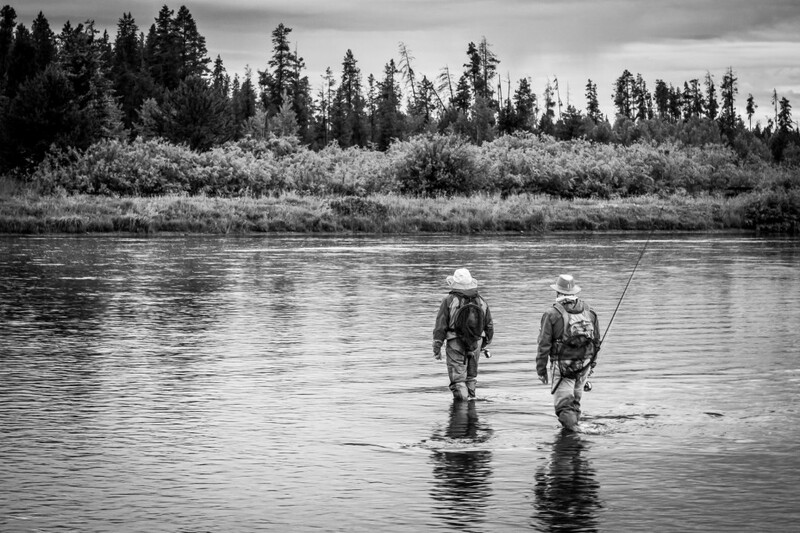 Know your wading limits. Each angler is different and his/her comfort level in a stream can vary greatly. The deeper the water, the more buoyant you become and wading becomes more difficult. I’ve known anglers that don’t go much past their thighs and other anglers that are chin-deep in the water. It all comes down to comfort. Learn your limits and stop before you go too far. Plan your route through a river. Rivers and streams change constantly. You can wade much better and safer by planning where you are going through the river. I’ve had times in the past where I was too caught up in actually fishing that I ended up surrounded on three sides by some very deep and unwadable pools. I wasn’t paying attention and had no plan. Look for hazards and other obstacles that may impede your wading and plan accordingly. Think about what you will do if you lose your footing and get swept away. If you plan out where you are going and study the current in the river, you can make a safe crossing in no time at all. Keep your body sideways to the current. This will decrease the force of the water pushing against you. Facing directly upstream or downstream against the current puts the full force of that current against you. This makes wading considerably harder and much more difficult to keep your balance. Don’t wade if you don’t need to. Many times you can reach those fishy spots in a river without wading. You don’t always need to enter the water to fish. By not wading if you don’t need to, the fish are much less likely to spook. This is especially true in slower moving pools. Lean into the current. The current in a river is constantly pushing against you. By leaning into it, the current will naturally push you upright rather than downstream. Leave your tackle in an emergency. In the worst scenario, you lose your footing and go for a swim. If this happens, your life is far more important than the gear you’re desperately holding on to. Abandon it and save yourself. Gear can always be replaced and having the use of both of your hands will make any sort of rescue far easier. Be prepared for an emergency situation. Basically this means to prepare yourself for an emergency situation and learn how to self-rescue. Learn basic water safety in the event you get swept off your feet. Turn onto your back and point your feet downstream to prevent any collisions with more sensitive parts of your upper body. Position yourself at a 45 degree angle to the current and begin to swim/stroke towards the nearest bank. Rivers and streams are typically very cold so get out of there as fast as possible. Use a wading belt and take appropriate safety precautions. Wading belts are not perfect in preventing water from filling up your waders if you go under, but they are far better than not having one. Think of a wading belt as a seatbelt. Cinch it up as tight and as high up on your chest as is comfortable. Shuffle your feet. Instead of lifting your feet each time you take a step, try shuffling them across the bottom of the river. Each time you lift your leg the current will try to push that leg out from under you. It’s very easy to have your leg swept out and down you go. By keeping your feet in contact with stream bottom you greatly reduce your risk of this happening. Those are just a few of the wading basics that can help make your wading safer and more enjoyable. If you have any other suggestions, leave a comment below and thanks for reading.